Nowadays, most of people live in a fast-developing society, and more and more people pay more attention to the sense of time. You may get used to note some important things such as the Birthday reminder, weekly/monthly/yearly events, invitations and more to remind you on your iPhone Calendar. But it will get you crazy if you lost your iPhone or formats all of iPhone data by mistake. So what should you do if these things happened on you? iTunes Backup Extractor will be your savior to recover your iPhone data immediately. 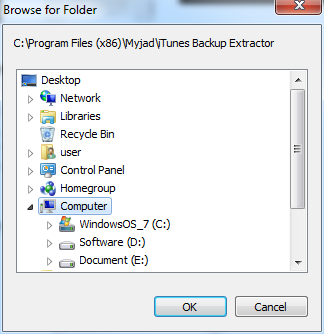 Myjad iTunes Backup Extractor can succeed in recovering all kinds of iPhone files including Messages, Contacts, Photos, Videos and more with ease. Try to download the trial version to hold your iPhone Calendar. 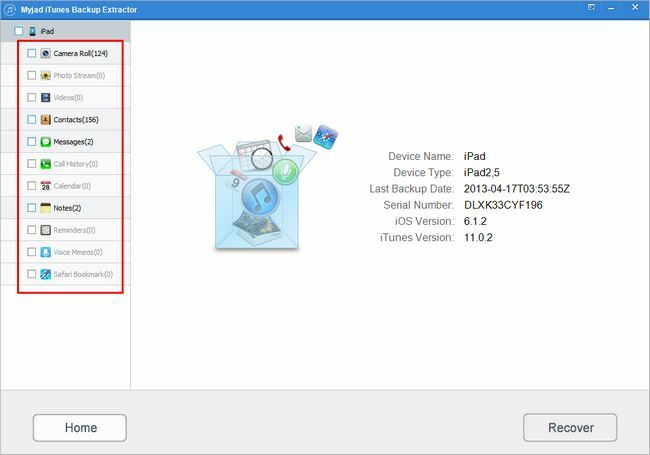 How to Extract iPhone Calendar from iTunes Backup? First, install and launch the iTunes Backup Extractor on computer. But do not link your iPhone with computer, it will erase the last backup files on iTunes. Then the main interface of the software would pop up fast. And the logo of iTunes is on the left top corner. iPhone backup will be displayed on the middle of interface, click it and then hit the right lower button to "Start Scan". Following the first step, after that the main interface will be divided into two parts. First part is all of your file types on the left column such as Camera Roll, Photo Stream, Videos, Contacts, Messages and more. The second part is about your iPhone information on the right side including device name, device type, last backup data, etc. Choose the "Calendar" on the left column then select the files you want. Click the "Recover" button at right lower corner to start to restore files. The last step is to save your recoverable files. You could choose any document you have on your computer when there is a small interface pop up, then confirm that every file you choose is correct, then click "OK" button to get your iPhone Calendar back in a high speed. Just need 3 simple steps, you can find your iPhone calendar back. 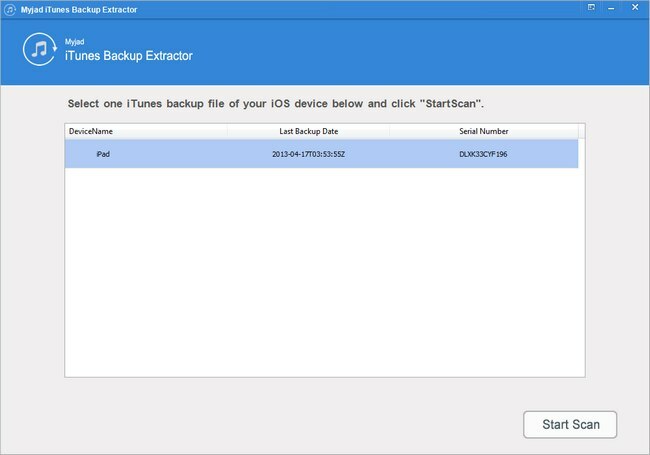 If you want to get more iPhone data or iOS devices files which are lost, do not hesitate to buy the iTunes Backup Extractor to get more files back. Download the trial version to try it first!